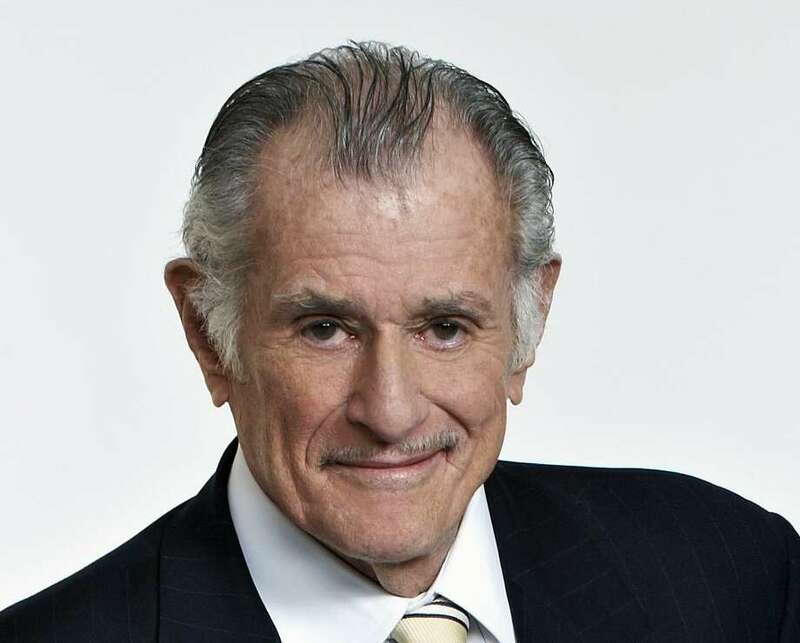 Frank Deford, a longtime Westport resident, is being honored with a National Humanities Medal by President Obama at the White House. WESTPORT—Frank Deford, an illustrious storyteller across many mediums and widely considered one of the best sportswriters, died on May 28. The 78-year-old, who died at his home in Key West, Fla, but lived for years in Westport, had a storied career in writing, radio broadcasting and television. He wrote for Sports Illustrated since 1962, was a correspondent on HBO’s “Real Sports with Bryant Gumbel” since the show started and was a commentator on NPR’s “Morning Edition” for 37 years, in addition to writing several novels. In 2012, President Barack Obama awarded him the National Humanities Medal. Deford is enshrined in the National Association of Sportscasters and Sportswriters and was voted the U.S. Sportswriter of the Year six times. Mike Greenberg, an ESPN radio host, lived near Deford in Greens Farms and said his neighbor was one of the highlights of living in Connecticut. “Among the best things to come from living in Connecticut the last two decades was the chance to be around Frank Deford as much as I was. We lived near each other and, as a consequence, were frequently invited to the same functions - usually with him speaking and me listening, exactly as it should have been,” Greenberg said in an emailed statement. “I don't need to tell anyone what he was as a writer - anyone who ever read him already knows that; he was as good as anyone, ever. I am here to tell you, however, he was also every bit as classy and kind as he appeared, welcoming and encouraging and very friendly. He was a pro's pro, a brilliant writer and an insightful, delightful person. Rest in peace, Frank. Thanks for showing the way to all of us who aspired to be you someday,” Greenberg added. Julie Freddino, who is the producer at WSHU (the local NPR affiliate in Fairfield) and worked with Deford at the station, considered him a close friend who transcended sports. “Frank Deford was a brilliant writer and storyteller, and a dear friend. He was a kind and generous man who loved sharing his passion for sports. The overwhelming comment we got from listeners was ‘I’m not a sports fan, but I love Frank’s essays.’ I have to say… I’m in that camp, too. His unique voice and point of view made the listener see sport and athletes in a different light. It was a privilege to be in the studio with him for all those years,” Freddino wrote in an email. Joe Meyers, an arts writer for Hearst Connecticut Media, interviewed Deford numerous times at his Westport house and recalls the illustrious writer as a pleasure to interview. “The house was in Greens Farms, but not a McMansion, not ostentatious. He was the kind of guy that put you at ease right away,” Meyers said. Deford’s dynamic writing ability manifested itself in many avenues, like challenging himself outside the sports arena. He wrote “Alex: The Life of a Child” about his daughter who died of Cystic Fibrosis and was a champion in fundraising efforts to quell the disease. Meyers also noted that Deford, who also had a residence in New York, was deeply interested in theater. “What a lot of people might not know is he was a big theater goer and a big theater buff so we would talk about musicals and plays. He was really excited about when Hairspray came out because it was set in his native Baltimore,” he said.